Benjamin Dickinson in CREATIVE CONTROL, a Magnolia Pictures release. Photo courtesy of Magnolia Pictures. 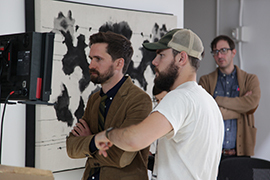 A scene from CREATIVE CONTROL, a Magnolia Pictures release. Photo courtesy of Magnolia Pictures. Benjamin Dickinson and Alexia Rasmussen in CREATIVE CONTROL, a Magnolia Pictures release. Photo courtesy of Magnolia Pictures. Reggie Watts and Benjamin Dickinson in CREATIVE CONTROL, a Magnolia Pictures release. Photo courtesy of Magnolia Pictures. Nora Zehetner and Benjamin Dickinson in CREATIVE CONTROL, a Magnolia Pictures release. Photo courtesy of Magnolia Pictures. Reggie Watts in CREATIVE CONTROL, a Magnolia Pictures release. Photo courtesy of Magnolia Pictures. Director Benjamin Dickinson on the set of CREATIVE CONTROL, a Magnolia Pictures release. Photo courtesy of Magnolia Pictures. 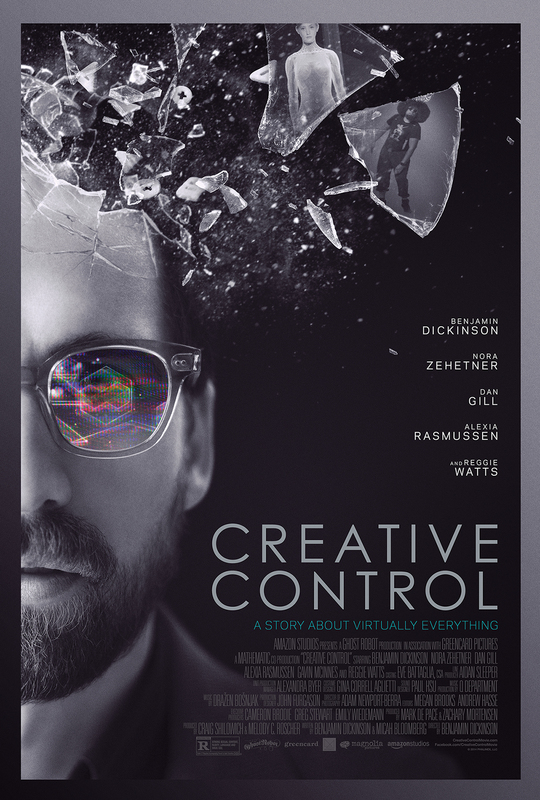 Theatrical one-sheet for CREATIVE CONTROL, a Magnolia Pictures release. Photo courtesy of Magnolia Pictures.